'Under construction' - The Amelia plan by LGI Homes is a spacious one story retreat located within the highly desirable Orlando area community of Ridge at Swan Lake. 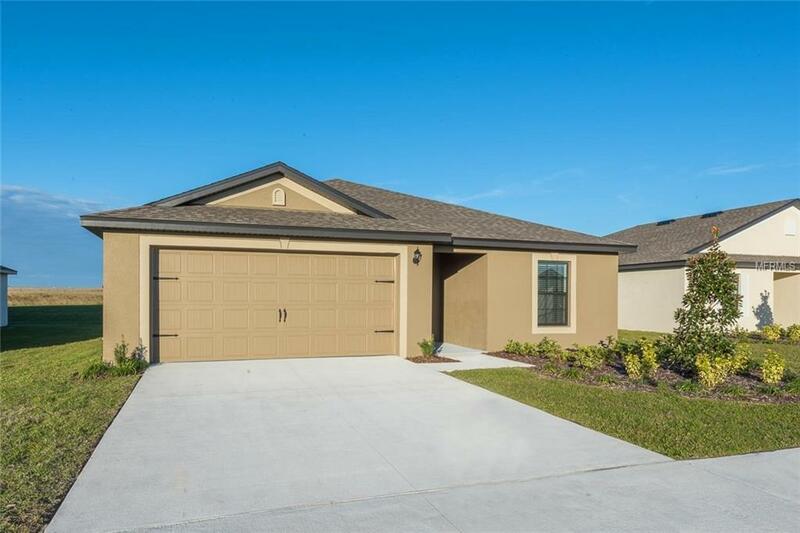 This home features an open concept floor plan, 3 bedrooms and 2 full baths complete with over $10,000 in upgrades including energy efficient appliances, spacious granite/quartz countertops, custom wood cabinets, brushed nickel hardware and an attached two car garage. The Amelia incorporates a master suite complete with a massive walk-in closet, as well as a utility room, covered back patio and front yard landscaping and irrigation. In addition, Ridge at Swan Lake offers residents beautiful nature views filled many beautiful lakes, walking/biking trails and is just minutes from fine dining, shopping, Disney World and LEGOLAND. The photos is of a model home.